The GreenLight Women Events Action Group is responsible for organizing and producing events and activities that support our mission statement, provide opportunities to celebrate each other’s successes and to bring people together, from inside and outside the membership. Most recently GreenLight Women hosted a screening of the film Iverson, written and directed by Zatella Beatty, a screening and reception for Joan Kron’s first film, the comedy Take My Nose…Please! and Flygirls, a panel discussion with the women pilots who flew for the United States during the Second World War. A television series, Fly Girls, based on the experiences of these extraordinary women, is currently in development with Lillah McCarthy. For more information on these events, see the EVENTS section in the website. In addition, GreenLight Women is proud to launch GreenLight Sunday Salons, a series of special, intimate gatherings with prominent guest speakers to foster game-changing dialogue and discourse. 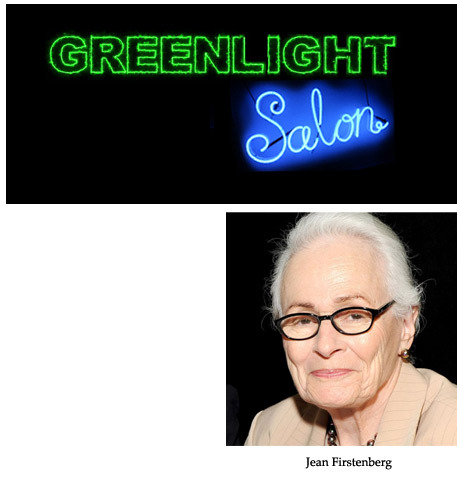 The first will be held on Sunday, November 19, 2017, featuring Jean Firstenberg, former President of the American Film Institute. If you are interested in getting involved, please write info@greenlightwomen.org and indicate EVENTS in the subject line. We look forward to your contribution.